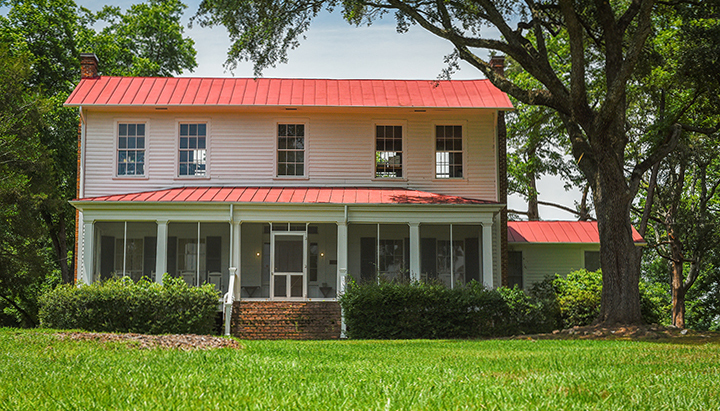 Flannery O'Connor's Andalusia: a two-story plantation plain style home. It is painted white wih a red metal roof. In this uncut interview, Georgia College Director of Historical Museums Matt Davis talks about the process of revitalizing Flannery O'Connor's Andalusia. Georgia College reopens the famous southern writer's home after a nine-month period of repairs and stabilization. Hear about Georgia College's plans to restore the historic property to the place O'Connor would recognize and remember.